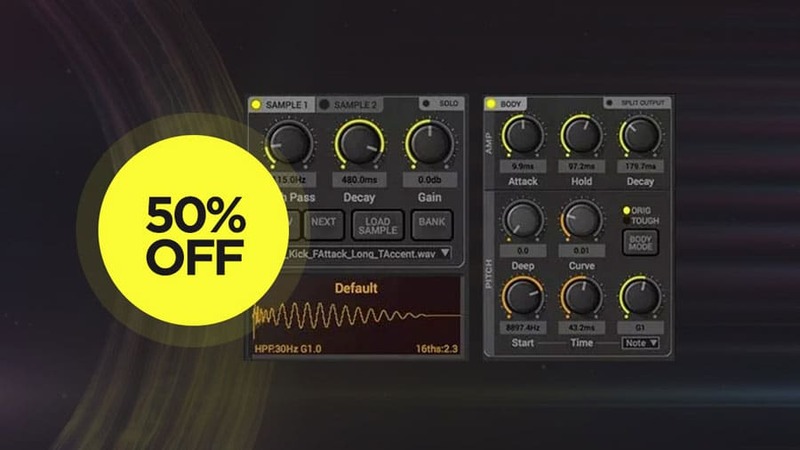 Home » Music Production News » Get 50% off BigKick Kick Drum Synthesizer at VSTBuzz! VSTBuzz has released a new deal, 50% off BigKick virtual instrument by Plugin Boutique (+2 free expansions). BigKick is the ultimate plugin for creating incredible kick samples for your tracks, saving you time and helping you craft the perfect kick sound. The BigKick plugin combines synthesis with samples, meaning a flexible sound that has that real, raw edge to it. It can replicate most electronic kick drum sounds with plenty of additional creative options to help you create the sounds of the future. You can start from scratch with a kick sample or use instant presets from a selection of incredible DJs and producers including D-Product, the Freemasons, Kris O’Neil and many more. For a limited time only, BigKick plugin is €20.99 instead of €41.99 (50% off regular price).